FRANKLIN, Mass., June 29, 2018 /PRNewswire/ — Today, Arthrosurface, Inc., a leading provider of minimally invasive, motion preserving joint restoration systems, announces their recent FDA 510(k) Clearance to market the Patellofemoral (PF) WaveKahuna Arthroplasty System. The PF WaveKahuna Arthroplasty System is a line extension to The Company’s previously cleared and commercially marketed family of HemiCAP® Patellofemoral & PF Wave Systems. The PF WaveKahuna restores the unique articular surface geometry of the Patella and Femoral Trochlea while maintaining the patient’s native anatomy. It’s innovative, extended lateral aspect and trochlear geometry is designed to address challenging Patellofemoral tracking and stability conditions as well as providing increased coverage of the trochlear groove. Furthermore, the novel patella design combines the clinical benefits of both the anatomic and dome patella implants from the PF Wave System. Additionally, the PF WaveKahuna femoral component is designed to mate with the currently marketed Arthrosurface PF Wave Fixation Component. The existing surgical technique is unchanged, with the addition of a superior ream step. “The FDA clearance comes shortly after data recently presented at ESSKA confirmed significantly improved postoperative outcomes with high patient satisfaction and no progression of knee arthritis at 5 years follow-up. The timing could not be better,” said Dawn Wilson, VP of Quality & Regulatory. NAPLES, Fla.–(BUSINESS WIRE)–Catalyst OrthoScience Inc., a cutting-edge medical device company focused on the upper extremity orthopedics market, today announced the addition of Brian K. Hutchison to its board of directors as executive chair. Hutchison will also serve as interim chief executive officer of the company until a permanent CEO is in place. Hutchison replaces Robert M. Kaufman, who has served as chairman and CEO of Catalyst OrthoScience since August 2017. Hutchison brings more than 30 years of healthcare industry experience to the Catalyst OrthoScience board. Most recently, Hutchison retired after serving 15 years as CEO of RTI Surgical Inc. (NASDAQ: RTIX). At RTI Surgical, he grew annual revenue from $55 million to $300 million, positioning the company as a leader in advanced biologic products. As CEO, Hutchison successfully merged RTI Surgical with Tutogen Medical in 2008 and in 2013 acquired Pioneer Surgical Technologies. Over his tenure, he secured multiple rounds of financing that included a $25.8 million investment in 2002 and a $22.2 million investment in 2005. Before RTI Surgical, Hutchison held various positions at Stryker Corporation, including serving as vice president of worldwide product development and distribution, senior vice president and chief operation officer of the Howmedica Osteonics Division and president of the Stryker Medical Division. Hutchison currently serves on the board of directors of Zavation Medical Products and the University of Florida Research Foundation. He received a bachelor’s degree in accounting from Grand Valley State University and attended Harvard Business School’s Program for Management. Episurf Medical (NASDAQ: EPIS B) today announces that the company has reached an important milestone on its strategy to reach the US market. The Investigational Device Exemption (IDE) application that the company has been working on is ready for filing. The application will now be filed to the US Food and Drug Administration (FDA) prior to the end of the second quarter. An approved IDE allows a medical device to be used in a clinical study in order to collect safety and effectiveness data for submission to the FDA. Episurf Medical is filing the IDE application for the Episealer® knee implant to get approval to initiate a clinical study in the US. The IDE must be approved by the FDA before the study is initiated. “Episurf has performed thorough work to get the extensive submission package in place. The Episealer® technology is gaining a lot of interest among the potential study investigators and we are continuing the work of getting sites ready for participation” comments Dr. Mike Kelly, Special US Study Advisor to Episurf Medical. 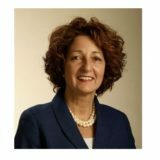 “We are looking forward to getting feedback on the study design from the FDA and continue the constructive dialogue we have had with the FDA in the preparatory phase. We are eager to take the next steps towards the US market and this is a very important milestone in that respect. I think the pieces are falling in place for us. Simultaneously as we are executing on a very clear regulatory strategy in the US, we have a growing business in Europe, where we also have a high level of activity when it comes to clinical activities. Our strategy is very clear, the clinical results are very strong, and this is such an important step. Finally, I am very proud of the team that delivered this in time, it’s been a lot of hard work behind this” comments Pål Ryfors, CEO, Episurf Medical. Episurf Medical is endeavoring to bring people with painful joint injuries a more active, healthier life through the availability of minimally invasive and personalised treatment alternatives. Episurf Medical’s Episealer® personalised implants and Epiguide® surgical drill guides are developed for treating localized cartilage injury in joints. Episurf Medical’s μiFidelity® system enables implants to be cost-efficiently tailored to each individual’s unique injury for the optimal fit and minimal intervention. Episurf Medical’s head office is in Stockholm, Sweden. Its share (EPIS B) is listed on Nasdaq Stockholm. 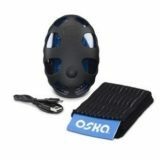 For more information, go to the company’s website: www.episurf.com. This information is information that Episurf Medical AB is obliged to make public pursuant to the EU Market Abuse Regulation. The information was submitted for publication, through the agency of the contact person set out above, at 08.00 CEST on 28 June 2018. REDLANDS, Calif. and AUSTIN, Texas, June 28, 2018 /PRNewswire/ — Renovis Surgical Technologies, Inc. today announced that it has received 510(k) clearance from the U.S. Food and Drug Administration (FDA) to market the Tesera® SA Hyperlordotic ALIF Interbody Spinal Fusion System. Tesera SA is a porous titanium stand-alone anterior lumbar interbody fusion system featuring a four-screw design and a locking cover plate to prevent screw backout. Implants are now available in 7˚, 12˚, 17˚, 22˚ and 28˚ lordotic angles with varying heights and footprints for proper intervertebral height and lordosis restoration, along with advanced instrumentation designed to reduce operative steps. 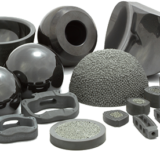 All Tesera implants utilize additive manufacturing (3D printing) and a proprietary, patent-pending design to create a roughened, highly porous surface structure that allows for bone attachment and in-growth to the implant, maximizing strength, stability and biologic fixation. Renovis now offers multiple 3D-printed, porous titanium implant systems for interbody spinal fusion, including anterior cervical, anterior lumbar, as well as posterior lumbar options. For more information on the Tesera porous structure, visit www.teseratrabeculartechnology.com, or visit the company website to learn about our systems for spine, total joint replacement and trauma applications at www.renovis-surgical.com. 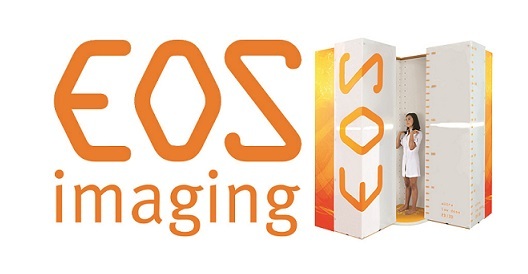 Renovis Surgical Technologies, Inc. was founded in 2009 with the mission to be a leading manufacturer of advanced medical devices, striving to continuously exceed customer expectations in service, quality, reliability, and value. The company is headquartered in Redlands, California, with engineering & manufacturing operations in Austin, Texas. For additional information on the Company, please visit www.renovis-surgical.com. 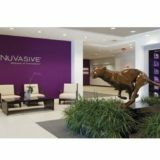 SOURCE Renovis Surgical Technologies, Inc.
NanoFUSE Biologics announced the addition of executive Archie Yamada to the team, a trained sales and marketing professional with 19+ years in the medical device industry with a focus on orthobiologics, orthopedic trauma/joints, and neurosurgical and craniomaxillofacial implants. He joins the NanoFUSE team as VP Product Business Development. “Throughout my career, I’ve been heavily involved in the development and sales of orthopedic implants. 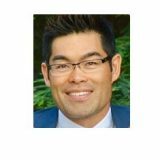 While I enjoyed providing hardware implants to surgeons, what really motivates me is providing biologic solutions to meet patient needs,” said Yamada. Yamada graduated with an MBA and honors in operations management from the University of Colorado, and a Bachelor of Arts in economics from Brigham Young University. He previously held positions as the Clinical Sales Director for Biologics & Cellular Technology at OsteoMed, Regional Sales Manager for Western U.S. & Canada at Skeletal Kinetics, Consultant and Regional Distributor for DePuy Synthes, as well as Asia Pacific and U.S./EU Sales Manager for Japan Medical Dynamic Marketing and Ortho Development respectively. “With NanoFUSE, I was offered the opportunity to collaborate with a team dedicated to supplying cutting edge osteopromotive synthetics. Although this itself is interesting, upon learning NanoFUSE’s direction of not only staying at the forefront of cellular technology, but advancing and defining the biologics of tomorrow, I was ‘all in,'” said Yamada. The NanoFUSE Biologics platform has the only FDA cleared combination of demineralized bone matrix (DBM) and synthetic bioactive glass technology, providing both osteoinductive and osteoconductive properties. The NanoFUSE DBM putty has been used successfully in +1000 cases by +200 surgeons in various orthopedic applications. “The NanoFUSE acquisition was a strategic addition to our orthopedic and spine portfolio to provide surgeons a comprehensive product offering. Archie’s leadership is timely as we focus on accelerating revenues and establishing distribution in the U.S. and overseas. We expect strong market demand to continue with attractive returns for our investors, and are encouraged by the recent partnership by DePuy Synthes for Prosidyan’s FIBERGRAFT synthetic product,” said KICVentures Managing Partner & CFO Aditya Humad. NanoFUSE Biologics LLC is a KICVentures portfolio company. 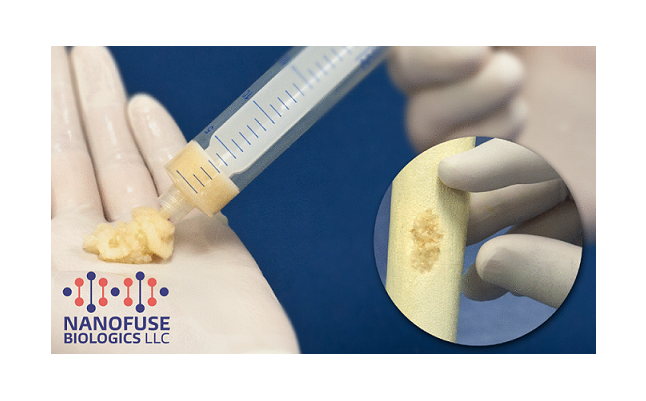 The NanoFUSE Bioactive Matrix is a unique and proprietary blend of demineralized bone matrix (DBM) that combines the osteoinductive capabilities of DBM with the osteostimulative properties of bioactive glass. NanoFUSE Biologics LLC is a KICVentures portfolio company, distributed by SpineFrontier. IRVINE, Calif., June 27, 2018 (GLOBE NEWSWIRE) — GS Solutions Inc., DBA GS Medical USA (GSM), a leader and innovator of surgeon-driven spinal technology that advances patient care, today announced the launch of the AnyPlus® Extended Tab Minimally Invasive Pedicle Screw system. The AnyPlus® Extended Tab Minimally Invasive Pedicle Screw System was engineered to offer a less invasive surgical option for pedicle screw placement. The system incorporates anatomically driven solutions and ergonomic designs that allow for a simple, precise and efficient solution to spinal fixation, adding benefits to minimally invasive approach with less OR time. Succeeding the Q4 2017 launch of the AnyPlus® Direct Lateral Interbody Fusion system and the Anterior and Posterior Disc Prep Sets, both of which are currently being used successfully in surgeries, GSM experienced a strong start to the year with sales growth in Q1 2018 versus Q1 2017. “As we continue to expand our portfolio of spinal solutions with innovative technology and build out a robust national distributor network, we expect to see solid, positive growth throughout the remainder of 2018,” said James Shin, CEO. To complement the company’s expanding portfolio of solutions, GSM hosted a cadaver lab and bioskills course in early May in Las Vegas. The course featured presentations by current GSM surgeon users, and attendees were provided with technical, hands-on training on the various systems offered by GSM. The surgeons who attended expressed positive feedback on both the DLIF and percutaneous systems, as well as the strategic direction of the company. “Given the rapid expansion of our portfolio of solutions, we recognize the continued need to partner with our surgeons and distributors to provide expert instruction on our spinal systems,” said Kurt Neesley, U.S. Sales and Business Development Director. GSM leadership and sales representatives plan to exhibit at NASS, September 26-29. To schedule a meeting with the team or to inquire about distributor partnership opportunities, please contact sales@gsmedicalusa.com. Ambulatory Services Market Size Worth USD 4,099.6 Billion by 2025: Grand View Research, Inc. 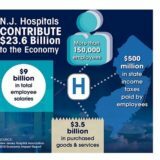 The global ambulatory services market is expected to reach USD 4,099.6 billion by 2025, according to a new report by Grand View Research, Inc. Increase in the availability of technologically advanced products, increase in the incidence of chronic diseases, growth in ageing population, and technological advancements in surgeries to reduce cost & treatment time are among key factors likely to drive the market during the forecast period. Ambulatory services are likely to witness high growth in the coming years due to increase in the number of surgeries, the availability of private & public funding, as well as the availability of same-day surgeries at low cost to offer better medical services. 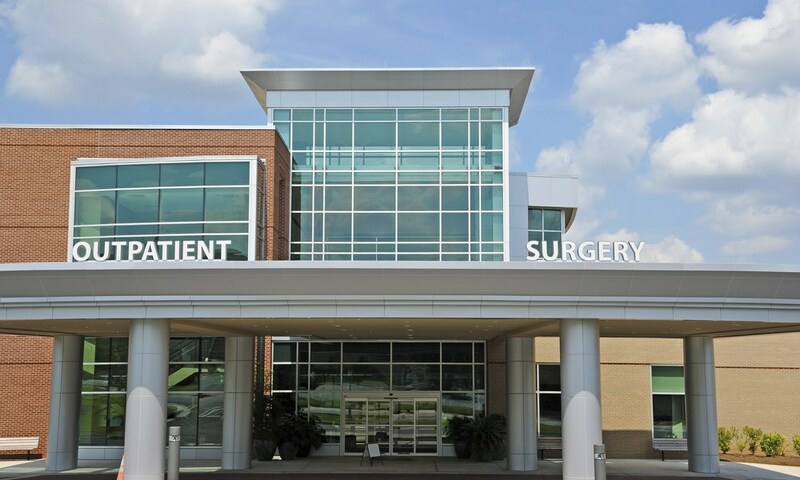 According to Healthcare Cost and Utilization Project (HCUP), in 2014, 17.2 million surgeries were performed in ambulatory surgical settings and 22 million surgeries in hospital outpatient settings. In addition, various mergers & acquisitions are anticipated to propel the market. For instance, in December 2015, Premier Emergency Medical Specialists was acquired by AmSurg. This acquisition was expected to help AmSurg enter the emergency medicine specialty. Technological advancements pertaining to diagnosis and minimally invasive surgeries are likely to reduce complications and help shorten hospital stays. Homecare via e-visits and telehealth solutions have become viable components of ambulatory care. For instance, in January 2017, Arterys, Inc. received FDA approval to commercialize Arterys Cardio DL, the first technology that uses a cloud-based deep learning algorithm for cardiac imaging. Vitamin D Testing Market – The global vitamin D testing market size was estimated at USD 498.1 million in 2016. Cancer Biomarker Market – The global cancer biomarker market size was valued at USD 10.3 billion in the year 2016. Biopsy Devices Market – The global biopsy devices market size was estimated at USD 1.0 billion in 2016. Lung Cancer Therapeutics Market – The global lung cancer therapeutics market is expected to grow significantly over the forecast period. Grand View Research, Inc. is a U.S. based market research and consulting company, registered in the State of Californiaand headquartered in San Francisco. The company provides syndicated research reports, customized research reports, and consulting services. To help clients make informed business decisions, we offer market intelligence studies ensuring relevant and fact-based research across a range of industries, from technology to chemicals, materials and healthcare. LONDON, June 27, 2018 /PRNewswire/ — The Global Cartilage Repair Market size is expected to reach $7 billion by 2024, rising at a market growth of 5.6% CAGR during the forecast period. The tissue prevents friction between the bones, by absorbing shock in the joints. When damage is caused in the cartilage, it restricts the regular movement of the knee, causing immense pain. It generally occurs after a traumatic and twisting injury to the knee. If cartilage damage remains untreated, it would lead to knee replacement surgery. The growth of the cartilage repair market can be attributed to changing lifestyle, leading to a number of disorders such as obesity and degenerative joint diseases. The aforementioned factors have an influence on cartilage related injuries. These injuries eventually hamper productivity among the working population. Growing epidemiology of such diseases need effective treatment options, driving the demand for regenerative medicine, which are used in restoring damaged cartilage. Based on the modality, the Cartilage Repair market is segmented into Cell-Based and Non-Cell-Based. Cell-Based Cartilage Repair further segmented into Chondrocyte Transplantation and Growth Factor Technology. Non-Cell-Based Cartilage Repair further includes Tissue Scaffolds and Cell-Free Composites. Based on the Application, the market is segmented into Hyaline Cartilage and Fibrocartilage. The treatment type segment covers Palliative and Intrinsic Repair Stimulus. Palliative further segmented into Viscosupplementation and Debridement & Lavage. 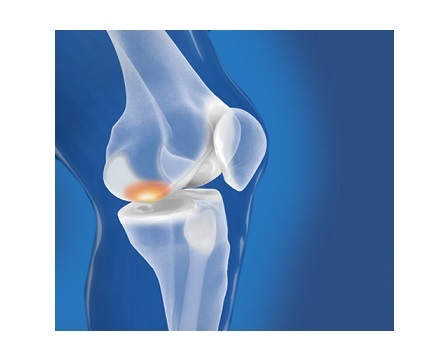 The site outlook segment covers Knee Cartilage Repair and others. Whereas, Knee Cartilage Repair covers Arthroscopic Chondroplasty, Autologous Chondrocyte, Osteochondral Grafts Transplantation, Cell-based Cartilage Resurfacing, Microfracture, and Other. Based on Regions, the Cartilage Repair market segments the market into North America, Europe, Asia Pacific, and Latin America, Middle East & Africa. The market research report covers the analysis of key stake holders of the Global Cartilage Repair Market. 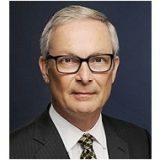 Key companies profiled in the report include B. Braun Melsungen AG, Zimmer Biomet, DePuy Synthes, Smith & Nephew plc, Stryker Corporation, Vericel Corporation, Osiris Therapeutics Inc., Arthrex, Inc., Collagen Solutions Plc, and Anika Therapeutics, Inc.
GAINESVILLE, Fla.–(BUSINESS WIRE)–Exactech, a developer and producer of bone and joint restoration products and biologic solutions for extremities, knee and hip, announced that the new Truliant® Knee System has been selected as the Silver Award Winner in the Implant and Tissue Replacement Products category of the 20th Annual Medical Design Excellence Awards (MDEA) competition. Winners in this leading medtech industry awards program were announced earlier this month in New York. Exactech’s Truliant Knee System is a comprehensive platform of implants and instrumentation designed to address the remaining clinical challenges of total knee replacement. Leveraging Exactech’s core principles and advanced design philosophies, Truliant is supported by ExactechGPS® guided personalized surgery and is developed to help surgeons deliver reproducible clinical outcomes in a streamlined procedure. The MDEA award is the Truliant Knee System’s second industry recognition. 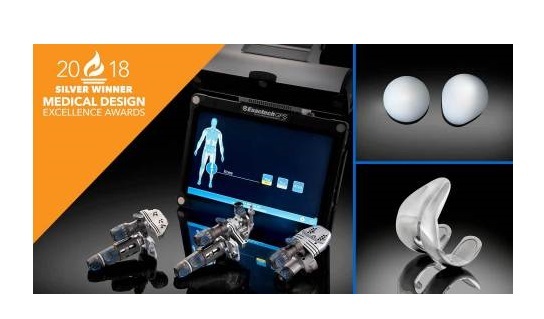 Last year, Truliant’s surgical instrumentation was honored with an International Design Excellence (IDEA®) Award by the Industrial Designers Society of America. For more information, visit www.TruliantKnee.com. Based in Gainesville, Fla., Exactech develops and markets orthopaedic implant devices, related surgical instruments and biologic materials and services to hospitals and physicians. The company manufactures many of its orthopaedic devices at its Gainesville facility. Exactech’s orthopaedic products are used in the restoration of bones and joints that have deteriorated as a result of injury or diseases such as arthritis. Exactech markets its products in the United States, in addition to more than 30 markets in Europe, Latin America, Asia and the Pacific. Additional information about Exactech can be found at http://www.exac.com.